The expression of México’s authentic Musical heritage lives on through the voice of Sol de México! Sol de México embraces the romanticism of México’s land, people and beauty of the heart. Jose Hernandez invites you to enrich your affection for mariachi by experiencing Sol de México’s dynamic energy and rich cultural expression. 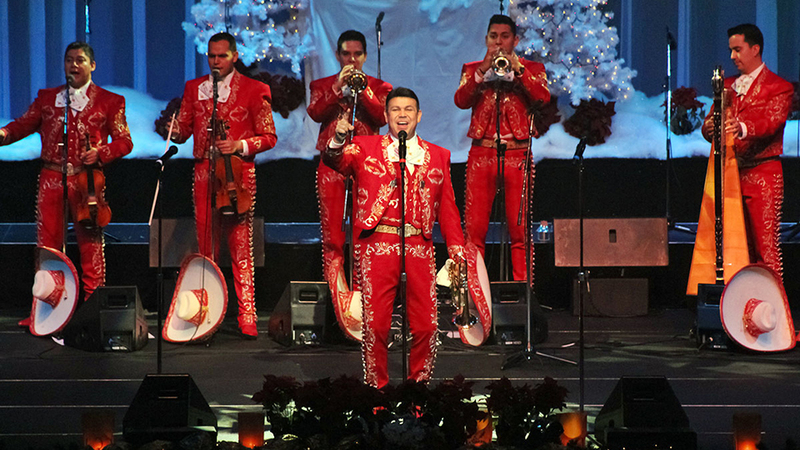 Founded in 1981 by Maestro Jose Hernandez, the platinum selling mariachi band Sol de México have broken countless barriers in mariachi music, including becoming the first mariachi ensemble to be nominated for a Grammy. Their original rhythms, fresh sounds and inspiring ideas have energized the world of mariachi for over 30 years. Mariachi Sol de México continues to travel the world as ambassadors of mariachi music, having performed to sold-out audiences throughout the world including Spain, Argentina, Chile, Uruguay, Venezuela, México, China, and North Korea. This performance is presented by the Tower Theatre Foundation and sponsored by Bend Surgery Center with additional support from Central Oregon Radiology, Salvesen Homes, Hasson Company Realtors, Immersion Brewing, Sally Russell and Bend Magazine. Performance sponsors are Windermere Real Estate and Hola! Restaurant. Show at 7:30pm. All seats reserved. Tickets on sale now at the box office and online at towertheatre.org.